Furiends it’s been a little while since I had to publicly shame my humans but the time has come again. This week they LOST an anchor! When it was really rough the other night and we saw lots of boats dragging, I instructed them to drop our spare anchor to make sure we held. Our main anchor is a Bruce and has a great size to weight ratio, since we’re anchored in mud it’s doing a great job of holding us. 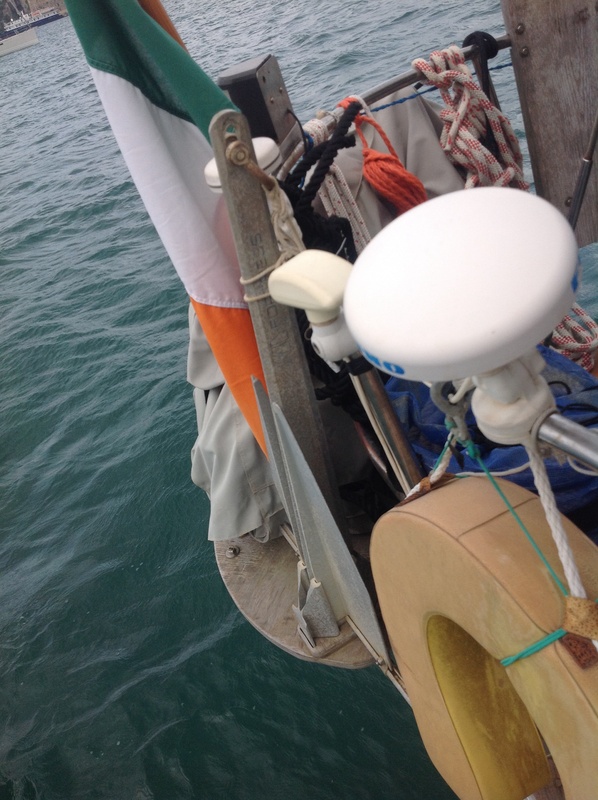 When I saw six or seven boats start getting into difficulties that night though, I wanted to use our spare Fortress anchor (which is usually our stern/kedge anchor) to be really sure we weren’t going to budge. The humans dropped it at the bow of the boat at about 4 AM and tied it off on the cleat and after sitting up watching for an hour or so we all went back to bed. When it was time to bring the Fortress back on board, the humans had a nasty surprise… It was gone! They think it may have chaffed on a rock along the sea bed during the storm. 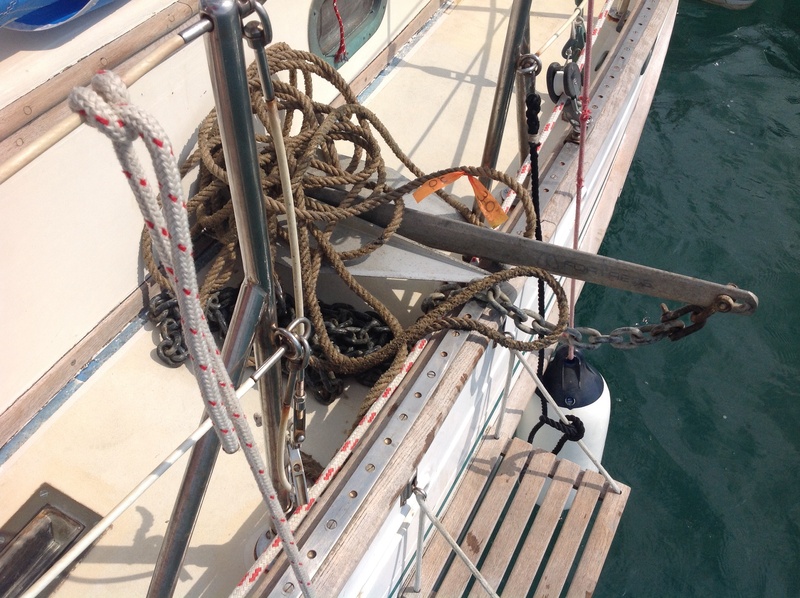 (Unlike our main anchor which is attached purely with chain, the Fortress has a mixture of chain and rode.) I think they did a bad splice! 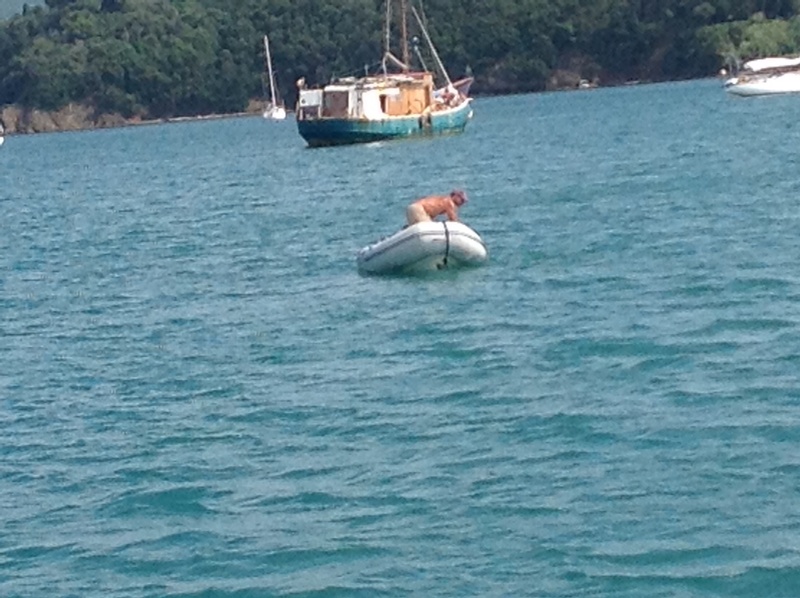 Yesterday I sent them out in the dinghy with the dinghy’s grapple anchor trailing to try and find it. It took a few hours of searching but they finally found it and pulled it out of the mud! It was quite a spectacle in the anchorage! I’m just so happy to have it back as it’s a major safety feature on the boat. I’ve had a good talking to the humans about being more careful. During the debrief we discussed what they thought happened and what I think happened…they’re definitely going to be tested on their splicing skills when we get back to Rome. I hope that it’s a lesson well learnt! I’m so happy that it’s back where it belongs on the stern! « Defending the ducks from the dinghy devils! They’re so lucky to have you, B. You need to keep them on their toes! I’m happy they found their lost anchor. Safety first! Great work finding the anchor!!! Cat Scout Charles here. I see you must constantly keep on eye on your humans like I do. Good thing they found that other anchor. I’m sure you used your cat sense to help them with that. My mom & I love your blog and she reads your adventures to me whenever you post something new. 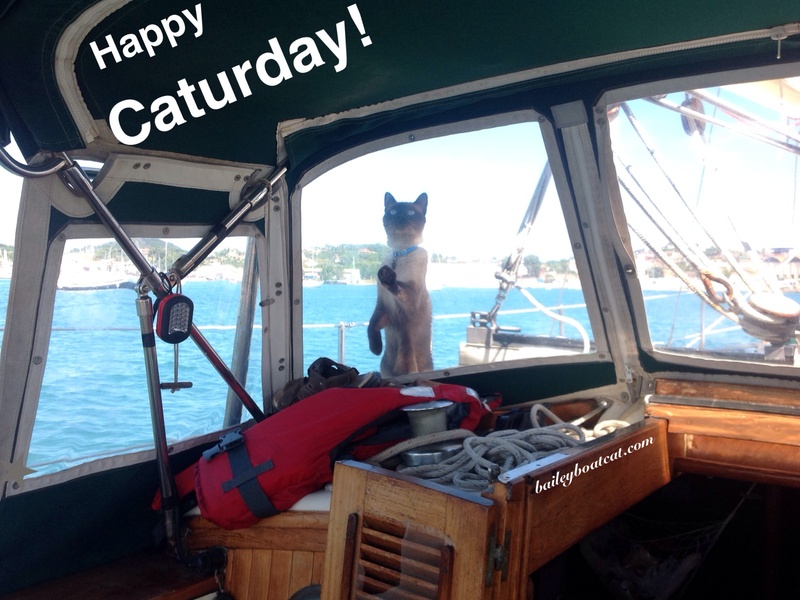 Glad that wayward anchor is back on board Bailey……good thing you’re going to test the humans when you get back to Rome – I think it’s time for a refresher course!! I’m glad the humans found your anchor, Bailey! But yeah, they need a good talking to! Good thing you are there to keep the humans on the straight and narrow. Without you I wonder what would happen to them. Well, they certainly redeemed themselves with the skill needed to find and retrieve it. No mean feat. My heavens….lucky you’re there to set your hoomins straight! 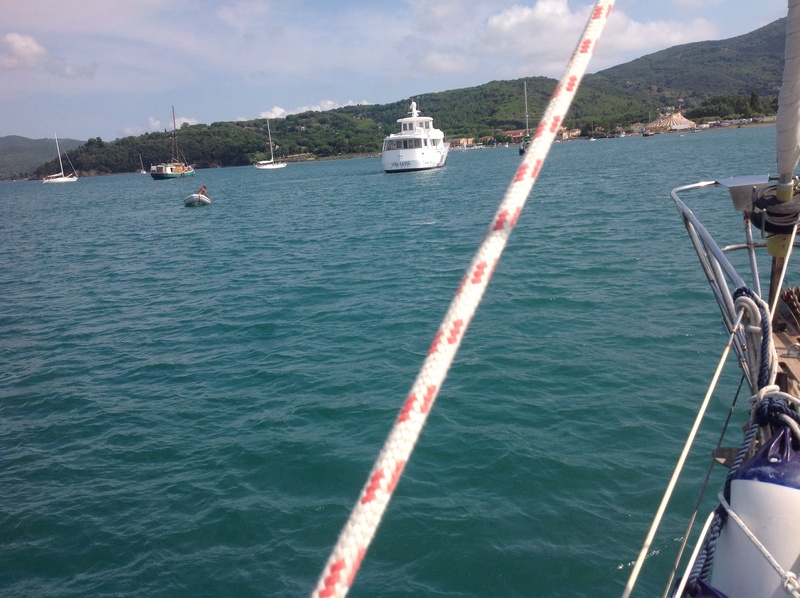 It would have been awful to lose your anchor and expensive too. Good job Bailey. Happy Caturday Bailey! Glad they found the anchor at least! Hope they don’t have a problem again! Wow that’s some proper mischief! Silly humans. I bet you had fun watching them though!